Farai Simoyi was born in London, England, the child of Zimbabwean parents. She lived in Harare, Zimbabwe, where she got her first taste of textiles and fashion, from her aunt’s lingerie company at age five. Her aunt would give her scraps of fabric, which Simoyi would sew together by hand to make clothes for both her and her dolls. And, thus, her passion for fashion was born. Leaving Zimbabwe as a 10 year old, Simoyi headed to Morgantown, West Virginia with her family, where she eventually attended West Virginia University. 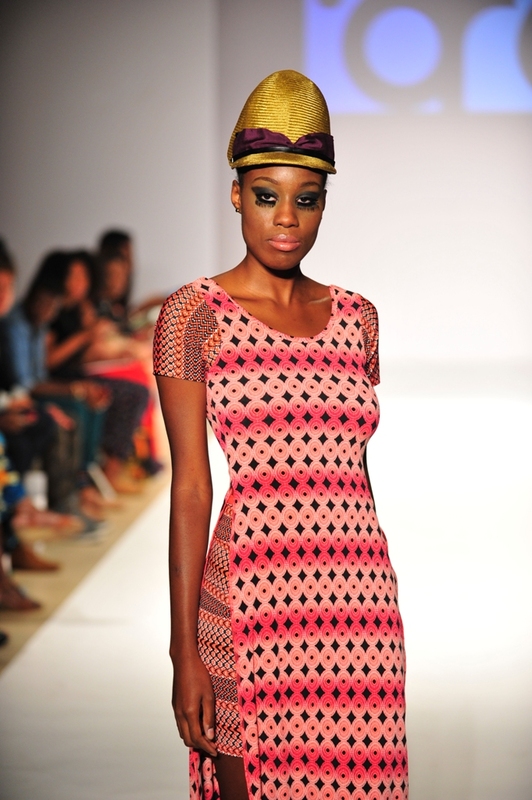 There she studied Fashion & Design and started to hone the skills she began learning as a child in Africa. After graduation, Simoyi spent a summer furthering her knowledge, studying at Nuovo Accademia Di Belle Arti in Milan, Italy. n assistant, Simoyi accepted her role as one of support, but knew it was a role she would soon grow out of. Indeed, she was quickly promoted to technical designer, where she was exposed to the cut-throat technical underside of fashion, coming to appreciate that there is a science to the art. Struggling to find a balance between working for a large brand and working on projects of her own, Simoyi was also featured on a television show, TLC’s “I’ve Got Nothing to wear!” In addition, Simoyi was invited to participate in, “Style Wars,” a style competition that presents young designers and their Avant Garde designs to the public. Soft/Steel/Bohemian”, it is a symbiotic juxtaposition of the styles and experiences gained in Africa, Appalachia, Europe and the streets of NYC: woman, warrior, wayward traveler. Describe your business of fashion. My business of fashion is the ability to balance the business and the creative. As designers, the creative is the easy part…the challenges are the business side. What is your background as a fashion designer? I studied Fashion Design at West Virginia University & Nuova Accademia Belle di Arti in Milano. For the past few years I have been working in the industry as a denim designer for designer and contemporary brands as well as celebrity brands. Our brand is a part of Made in NYC. We produce and manufacture all of our products in factories based in NYC. What makes you the designer and/or your brand innovative? We believe what makes our brand innovative is the ability to become inspired by historial or abstract experiences. Our last collection for AFWNY was titled the “The Silk Road”, which was inspired by the Afro-Eurasian trade route dating to the 15th century. There is always a meaning behind all the work we do and collections we present. What makes your brand luxurious? What makes your brand sustainable and/or ethical? All of our products are manufactured in NYC. We pride ourselves in the fact that we work with ethical and safe factories to produce our garments. Should we produce overseas in the future, we will operate under the same guidelines to ensure that there are safe working conditions for anyone that works with our brand. What are the materials used for your collection? We use top quality ponte fabric, which is great for our fitted dresses. We also use imported silks for our bohemian inspired dresses. For specialty designs, we work with velvets, brochades, and our best seller specialty fabric is the rosetta fabric design. 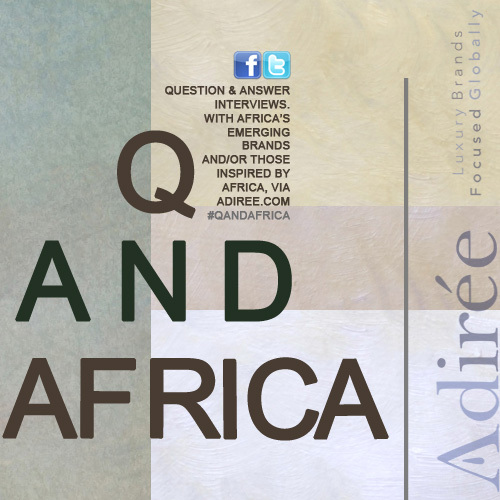 How do you think brands outside of Africa can brand their product in Africa? Brands outside of Africa should position themselves as international brands that way they can brand their products all over the world. What resources do you think black designers need to move forward in this competitive industry? 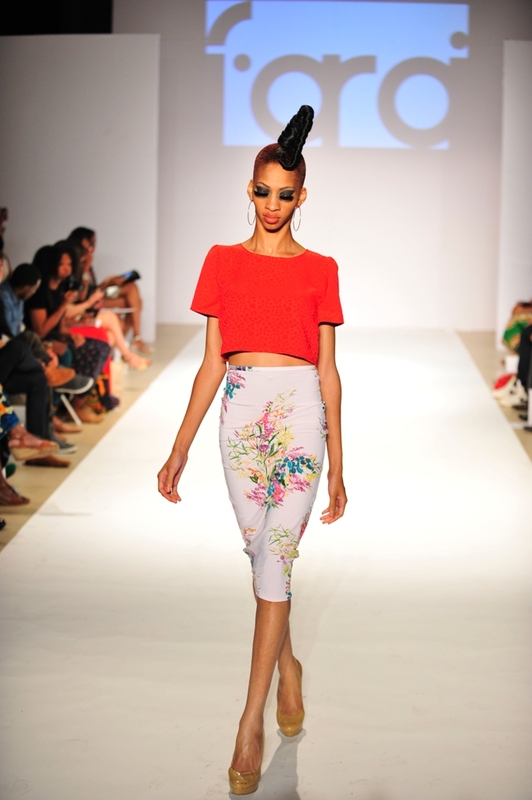 Minority designers need to educate themselves on the business side of fashion. There are many business resources such as free business, sales, marketing courses offered through community organizations that are specifically geard towards minority business owners. Our brand has taken advantage of some of these resources and it has elevated our brand immensely. Why do you want to show in New York? Why is it important to you? NYC is the mecca of fashion. NYC is also one of the top fashion cities that supports emerging brands and growth within the industry. What has been your challenges as a designers? The business aspect of running your own company has been one of our major challenges. The designing and creativity comes to us naturaly and easily. It is the business, which is the most important, which takes studying and understanding. Where are you from? How has this influenced your designs? Born in London England, raised in Zimbabwe as a child, raised in West Virginia as a young adult, and now living in NYC has shaped who I am and influenced my work. I extract bits & pieces from all of my life experiences and formulate them into my brand. Tell us about your style, designs, and inspirations? My inspiration comes from my background & a mixture of different cultures. I design as if I’m a musician on a world tour and each destination inspires a different idea. 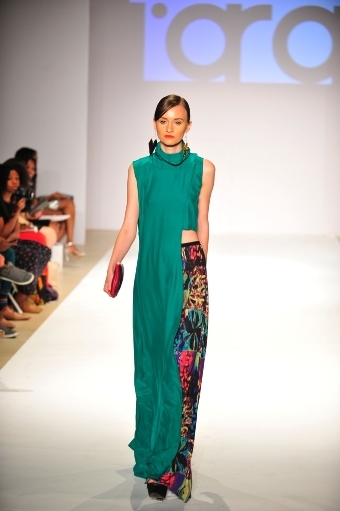 My Zimbabwean roots are instilled in me and my culture has a strong influence on how I design. My culture is full of history, life, & heart and I try to portray that in every collection I create. What is African Fashion to you? When people think of African fashion they automatically think of the traditional ankara prints, kente cloths, or mud cloths. To me African fashion is multi-dimensional…it stems from designers who love Africa and exude boldness, strength, and love in their work. Name three of your favorite things to do? Where can we purchase your items? Online at www.faraisimoyi.com. For stores near you please take a look at our stockists available online. What celebrity would you dress if you could? I would love to custom design for Michelle Obama, Rihanna, & Madonna. Please provide a customized quote, to inspire young designers looking up to you.